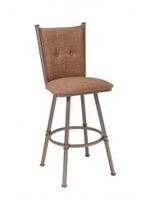 Earthy, rich metals are in, and Miramar shows them off to full advantage. 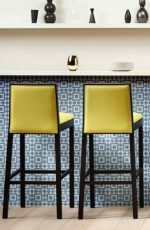 A gently curved seat and dramatic low almost-semicircular back echo some facets of amazing midcentury style, but there’s enough about the Miramar to root it firmly in eclectic and contemporary homes, as well. 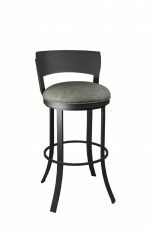 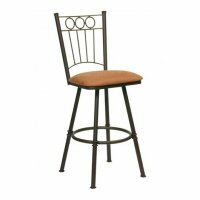 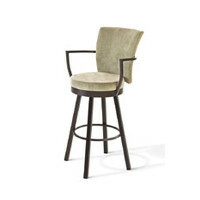 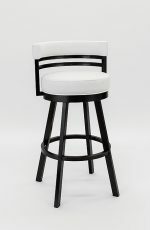 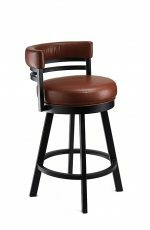 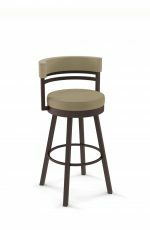 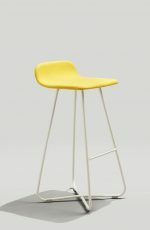 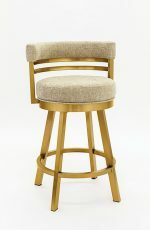 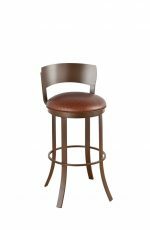 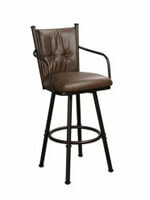 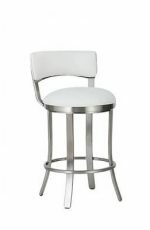 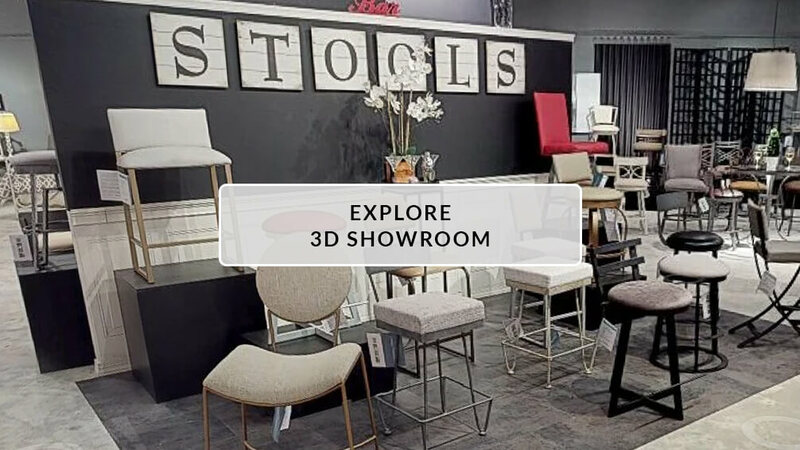 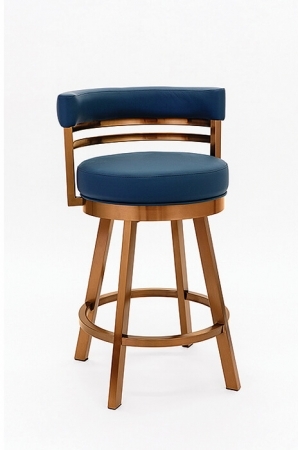 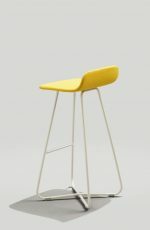 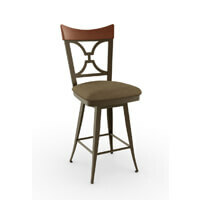 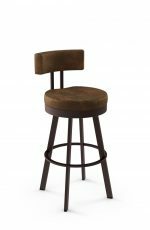 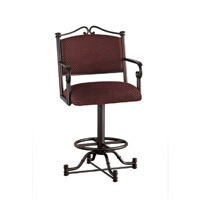 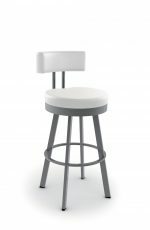 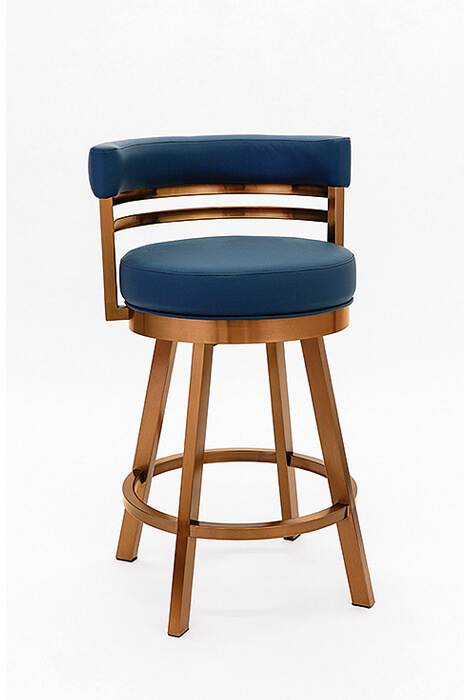 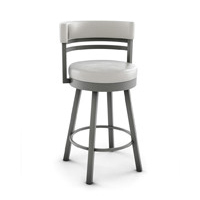 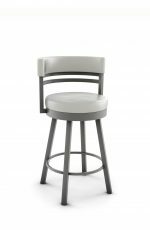 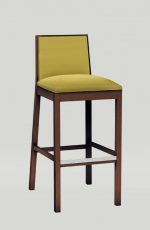 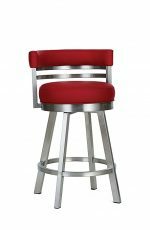 The lush upholstered seat is remarkably comfortable, and the balanced four-leg bar stool design adds stability while giving a nod to more traditional designs. 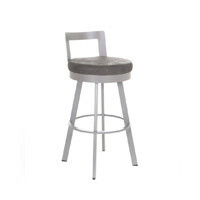 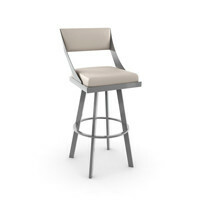 • For the Miramar Swivel Stool in Copper Stainless Steel, you will need 2 yard(s) per chair.